The Fund invests mainly in growth companies of all sizes located throughout the world. Diversified. The Overall Morningstar Rating for a fund is derived from a weighted-average of the performance figures associated with its three-, five- and (if applicable) ten-year ratings. For the period ended 12/31/2018 the Baron Global Advantage Fund was awarded 5-star Morningstar Rating for the 3-year and 5-star for the 5-year. Morningstar 3-year star rating is based on risk adjusted returns with 729 funds in category; and 5-year star rating is based on risk adjusted returns with 618 funds in category. 2Expense ratios are based on fiscal year ended 12/31/17, restated to reflect current expense waivers. The performance data quoted represents past performance. Past performance is no guarantee of future results. The investment return and principal value of an investment will fluctuate; an investor’s shares, when redeemed, may be worth more or less than their original cost. The Adviser has reimbursed certain Fund expenses (by contract as long as BAMCO, Inc. is the adviser to the Fund) and the Fund’s transfer agency expenses may be reduced by expense offsets from an unaffiliated transfer agent, without which performance would have been lower. Current performance may be lower or higher than the performance data quoted. Expense ratios are based on fiscal year ended 12/31/17, restated to reflect current expense waivers. Except for Standard Deviation and Sharpe Ratio, the performance based-characteristics above were calculated relative to the Baron Global Advantage Fund's(BGAFX) benchmark (MSCI ACWI Growth Index). Performance statistics for additional periods will be provided on request. Source FactSet: SPAR. Alibaba Group Holding Limited (BABA) is the largest e-commerce company in the world. Alibaba owns and operates the two largest online shopping platforms in China, Taobao and Tmall. It also owns a third of Ant Financial, which operates China's largest third-party online payment vendor Alipay. With over 500 million active buyers and over 10 million merchants, we believe Alibaba is poised to benefit disproportionately from the increased penetration of internet, mobile, and e-commerce in China. It enjoys more than 70% market share of all e-commerce transactions in China, and we expect it to continue growing at a rate of more than 20% for years to come. We also see significant positive optionality in Alibaba's cloud computing, data management, and electronic payments platforms. Illumina, Inc. (ILMN) is the recognized leader in next- generation DNA sequencing platforms. Illumina has a dominant position in DNA sequencing technology, which is increasingly being used for patient care in the diagnosis and treatment of cancer and in reproductive health. We believe the company has a large addressable market and is in the early stages of its growth. Illumina's R&D spend as a percentage of sales is significantly higher than that of its peers, which allows the company to continue to innovate. The company has an attractive razor/razorblade business model with strong recurring revenue and profit margins that we believe have room to expand. Naspers Limited (NPN.SJ) is a South Africa-based internet and media platform operator. Its main operations are in e- commerce (classifieds, marketplaces, and online retail, services, and payments), and pay-TV. Naspers also owns 30% of Tencent, which accounts for the majority of the value of the company. Naspers operates mainly in markets with strong growth potential, and most of its businesses are market leaders in their sectors. Aside from its 30% stake in China's internet leader Tencent, Naspers owns parts or all of another 140-plus internet assets including Mail.ru and Flipkart. While we think Tencent may be close to fairly valued and an appropriate holding company discount should apply, we think the optionality offered by Naspers' other investments is significant and not deserving of the substantial NAV discount. Veeva Systems Inc. (VEEV) is a leading cloud software provider focused on the life sciences market, with products including multi-channel customer relationship management (CRM) and enterprise content management (Vault) offerings. Veeva is now expanding beyond life sciences with its QualityOne product. Veeva addresses an approximately $8 billion total available market through its current product line, compared to about $5 billion in 2015. The company is employing a "land and expand" strategy by expanding Veeva CRM across divisions and by cross-selling new products like Veeva Vault. As a vertical SaaS company, Veeva has high margins because it is selling into a concentrated target customer base and can spend less on sales and marketing and more narrowly target its R&D investment. We expect Veeva to leverage its products beyond its core market over the next few years. EPAM Systems, Inc. (EPAM) provides outsourced software development to business customers. EPAM benefits from growing demand for IT services from businesses around the world. The company's competitive differentiation comes from its ability to hire and retain highly skilled, low-cost software engineers in Eastern Europe and Russia. EPAM's strong technical capabilities and differentiated labor pool enable the company to work on higher-value client projects with better pricing power than peers. We believe EPAM will continue gaining share in a large, growing market by adding new clients and increasing wallet share within existing clients. Constellation Software, Inc. (CSU.CN) is a holding company that owns and operates approximately 200 small- and medium-sized software businesses. These businesses allow customers across a wide range of verticals to automate key activities, with the goal of saving on labor costs. Constellation has valuable experience to offer its acquisition targets, largely around building high-touch, low-cost modules and contract pricing. We see this experience as a competitive advantage, and we think it remains sustainable as long as the company continues to acquire targets. Since we believe there are over 20,000 small owner-operated vertical market software businesses in the U.S. and Europe, we think Constellation's successful acquisition program will continue, and its moat will remain intact for years to come. Mellanox Technologies Ltd. (NASDAQ: MLNX) is a supplier of high- performance switch systems, adapters, cables, and software supporting InfiniBand and Ethernet networking technologies. Mellanox has been a long-term share gainer in its markets. Its products enable servers to communicate faster and more efficiently, reducing total IT costs. We expect the growing use of cloud-based services to increase demand for faster and more reliable communications hardware. Mellanox is a leading provider of high bandwidth, low latency interconnect solutions in the market, and is one generation ahead of its competition. With continuous share gains in the interconnect market, we believe Mellanox can meaningfully grow its earnings over the next five years. 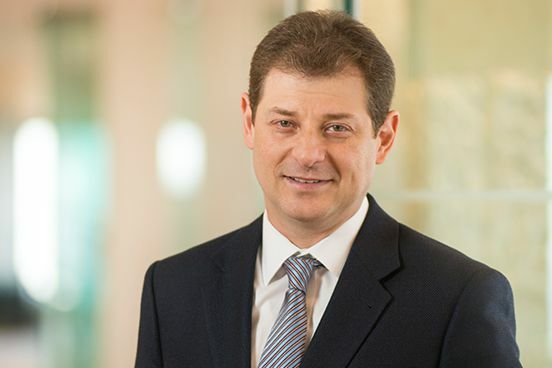 Bolsas y Mercados Argentinos S.A.
Citywire ranked Portfolio Manager Alex Umansky first out of 72 portfolio managers in the Global Multi-Cap Growth category. Read the full article here. Baron is pleased to announce that Morningstar has added Baron Discovery Fund and Baron Global Advantage Fund to its “Prospects” list of up-and-coming or under-the-radar strategies that Morningstar Manager Research thinks might be worthy of full coverage someday. Currently, Baron Growth Fund, Baron Asset Fund, Baron Small Cap Fund, Baron Partners Fund, and Baron Emerging Markets Fund all have full coverage by Morningstar. In a December 14 Barron’s article, Alex Umansky, portfolio manager of Baron Global Advantage Fund and Baron Fifth Avenue Growth Fund, discussed several emerging market stocks he likes heading into 2019. To read the full article, visit www.barrons.com. (Subscription required to access). The Wall Street Journal Ranks Five Baron Funds Among "Category Kings"
In "The Journal Report," The Wall Street Journal's quarterly review of mutual funds and ETFs, five Baron funds ranked among the top performing funds in their respective peer groups for one-year total return through February 28, 2018 according to Lipper. View the full list at www.wsj.com. Among the funds listed were Baron Real Estate Fund, Baron Partners Fund, Baron Fifth Avenue Growth Fund, Baron Opportunity Fund, and Baron Global Advantage Fund. Note: Lipper Funds Category Average is not weighted and represents the straight average of annualized returns of each of the funds in the category. Alex Umansky, portfolio manager of Baron Global Advantage Fund and Baron Fifth Avenue Growth Fund, discussed "Benjamin Button" companies in MarketWatch investing columnist Michael Brush's October 31, 2017 column. Alex describes these as "winner take most" companies because of the power that comes from aging in reverse. Read the column at www.marketwatch.com. RISKS: Growth stocks can react differently to issuer, political, market and economic developments than the market as a whole. Non-U.S. investments may involve additional risks to those inherent in U.S. investments, including exchange-rate fluctuations, political or economic instability, the imposition of exchange controls, expropriation, limited disclosure and illiquid markets, resulting in greater share price volatility. Securities of small and medium-sized companies may be thinly traded and more difficult to sell. Definitions (provided by BAMCO, Inc.): The MSCI ACWI Growth Index and the MSCI ACWI Index cited are unmanaged, free float-adjusted market capitalization weighted indexes. The MSCI ACWI Growth Index measures the performance of large, mid and small cap growth securities across developed and emerging markets, including the United States. The MSCI ACWI Index measures the equity market performance of large and midcap securities across developed and emerging markets, including the United States. The indexes and the Fund include reinvestment of dividends, net of foreign withholding taxes, which positively impact the performance results. Index performance is not fund performance. Investors cannot invest directly in an index.